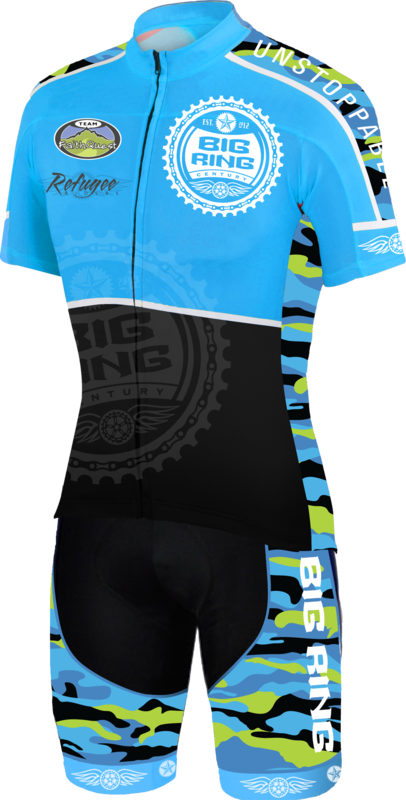 Last years commemorative Big Ring Century Jersey shown above. This years jersey and bib pants design will be revealed soon! 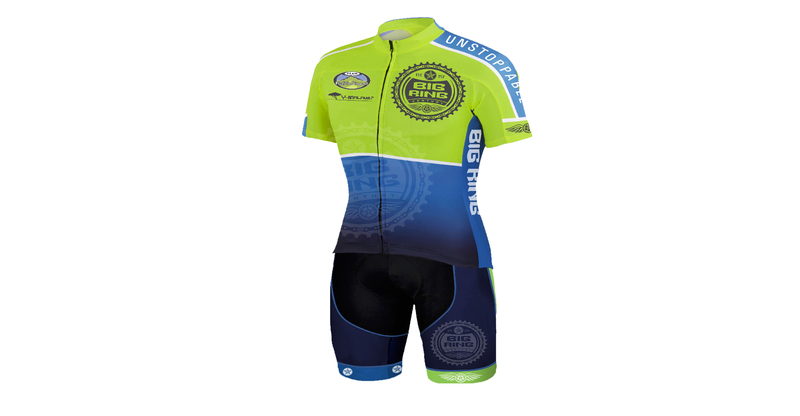 Jersey is included at no additional cost for all century riders (100 Miles, 100 KM/62 Miles). Available for additional donation for Half-Metric Riders (34 Miles) Jersey shown here with matching Big Ring Century bib pants, will also be available for additional donation. We hope to have next event set and posted here soon!